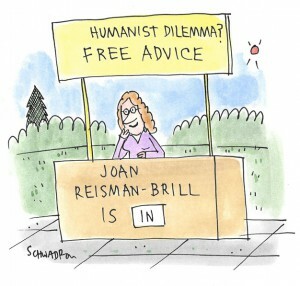 The Humanist Dilemma: Should Religion Be Banned? Banning Religion: Is it moral to allow religion to exist? I’ve been struggling with how to tackle this question in all the wrong ways, resulting in mostly just offending other humans. Based on historical evidence, it’s easy for me to make the argument that, with some exceptions, religion has stood in the way of science throughout human history. We have computers and the Internet and fancy electronic devices, but how much farther along would we be if great influential scientific figures throughout history—Isaac Newton, Charles Darwin, Socrates for crying out loud—hadn’t faced death to release their scientific findings? If you equate science to human progress rather than religion, then what you end up with is a model of the world where science figures out that bacteria-infected fleas traveling on rodents probably caused the Black Death, and religion figures out that it means we need to kill more people. It’s bleak. And even today in 2017 we have billions of people who believe in various made-up gods, so I may be expecting too much too quick. But if you look at the turmoil in the world where microchips and satellites up in “the heavens” run our lives, religion is still playing a major role in halting progress, compromise, and compassion for one another, and literally causing the unnecessary deaths of innocent humans. After a while I have to ask, are we harming ourselves by allowing religions to dictate our world? It seems to me that the day of reckoning for religion has long come and gone, and at this point we are really kidding ourselves. When you ask if it’s moral to allow religion to exist, I ask, “Is it moral not to allow religion to exist?” Even if you concluded it was, how would you possibly go about eradicating religion in a moral way? Your points are all well taken. Many if not most people who aren’t believers would agree that the alleged benefits of religions outweigh the negatives or could be achieved without the religious trappings, and the world would be a better place without superstitions and fantasies dictating human affairs. But when you suggest getting rid of religion, bear in mind that quite a few believers would like to get rid of nonbelief as well as other beliefs (i.e., any belief that isn’t what they believe). Surely nontheists wouldn’t advocate following the model of believers all over the world who discriminate against and even kill those who don’t conform to their “sincerely held” beliefs. We’ve also seen nations, such as communist countries, attempt to outlaw religions, with poor results. Efforts to forcibly squelch a religion, or all religions, just tend to drive believers underground, and the moment the guard changes, the religions return. Simply issuing a decree doesn’t eradicate religion and neither does punishment or extermination or war (and those certainly don’t qualify as morally sound measures). And although education may be the most effective and ethical antidote to ignorant belief, there’s a phenomenal degree of resistance to facts and reason when it comes to religion, even among otherwise reasonable and educated individuals. In today’s world there are still huge numbers of fervent believers, and huge concentrations in areas where it is a challenge even to admit to being an atheist. We even have people in powerful positions in the United States proclaiming we’re a Christian nation, unleashing such tactics as dismantling our secular public education system in favor of religious indoctrination and opening the door to politicking through religious institutions. On the other hand, a number of nations in Europe have achieved a secular majority (correlating, probably not coincidentally, with the happiest and best educated), and recent surveys demonstrate religions are steadily losing ground, particularly among young people. Despite the stubborn intractability of religion in America and many parts of the world, our best hope is the increasing numbers of people, especially young ones, who are rejecting faith traditions. With information and communication widely available through the Internet, individuals just about everywhere can access and explore science- and reason-based worldviews, and they can join physical or virtual communities who use those concepts to guide their lives. I encourage doing all we can to propel this progress, but only through free will and enlightened choice—not coercion. Americans and humanists must uphold the principal of everyone’s right to their own views.